iPhone 5 (or the iPhone 5G, as some are calling it) rumours are flying thick and fast already. Will there be a rush release to erase memories of the iPhone 4’s antenna problems? Will the 5th generation iPhone deliver ultra-fast mobile internet? Will it ever end up on Verizon in the US? The Verizon iPhone rumour has been around forever, and one day it’ll come true – but it won’t be the iPhone 5. The Wall Street Journal said a Verizon iPhone was nearly ready back in October, and we’d take that one seriously: the WSJ is the paper Apple tends to share its secrets with. It says that “the [Verizon] phone would resemble the iPhone 4 currently sold by AT&T, but would be based on an alternative wireless technology used by Verizon, these people said.” Which people? “People familiar with the matter”. This has since been backed up by reports from Engadget we reported on 17 January 2011, which state the design will be a ‘total rethink’. According to the Chinese Economic Daily News (via AppleInsider), with the exception of Qualcomm chipsets – which would replace the current Infineon chipsets in the iPhone 4 – Apple’s sticking with the same suppliers for the 2011 iPhone 5G components. We’d expect the basics of the iPhone 5 specs to get a bump – more memory, faster processor, more storage – but DVICE quotes a single insider who claims to have handled Verizon prototypes. The specs? A new antenna, 1.2GHz processor and a larger screen: 3.7″ instead of 3.5″. The iPhone 5 may also be made from a new kind of alloy, or maybe meat. However, we’re also hearing word of a multi-core design, in keeping with the rest of the mobile world, as Apple looks to improve both battery life and performance. The iPhone 5 will also get a massive graphical boost as it moves to a dual-core GPU – this could herald true 1080p output from the new device, according to our news story on 18 January. There’s been some speculation that Apple might include Near Field Communication (NFC) technology in the iPhone 5G, turning it into a kind of credit/debit card. However, as Techeye.net notes, “Apple has looked into NFC before” so this might not be imminent. Apple’s established a rhythm with iPhone releases, with new models appearing in late June or early July each year. It’s a safe bet that the iPhone 5 release date will also be late June or early July. As Beatweek magazine points out, Apple’s A-Team can’t be everywhere at once; by staggering the releases of the iPad 2 and the iPhone 5, they get to work their magic on both devices. iLounge said its source reckoned Apple would push the iPhone 5 release date forwards – possibly to January 2011 – because of the iPhone 4 antenna problems, although iLounge itself said the claim was “hard to believe”. The source could be confusing the Verizon iPhone and the iPhone 5. The usual July release date was mentioned by Engadget’s source too in January 2011 – meaning the standard release cycle looks set to continue. At least one analyst thinks the iPhone 5 will support LTE, super-fast mobile broadband, in the US. That would make the iPhone 5G a 4G phone, which won’t be confusing at all. 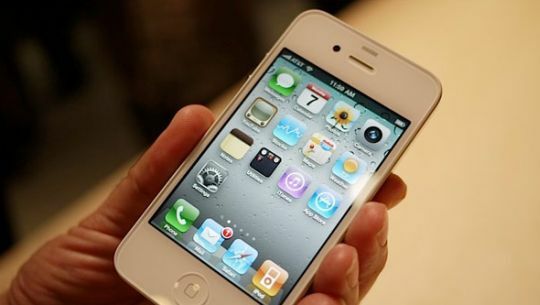 LTE is certainly coming – AT&T plans to roll out its LTE service in 2011 – but an LTE iPhone has been rumoured for a while. USA Today floated the idea of an LTE iPhone on Verizon last year. If the iPhone 5 is an evolutionary step like the move from the iPhone 3G to the iPhone 3GS then we’d expect the price to stay more or less the same, although in the UK higher VAT rates may well mean a higher price tag. Given recent news that Apple was actually *buying* modern glass cutting machines it is possible that the "new alloy" will be an all glass body. That would be truly revolutionary - it mans that any molded form will be possible with the phone and it will be the end of scratched up plastic backs. Make it transparent and you would have the sexist phone going IMHO. It would be nice if they brought some of the manufacturing back to the US but being competitive means keeping costs down and right now we can't beat China. I am really intrigued about the new meat case. But genuine wood inlays would be cool. Only from a sustainable forest type situation though of course. I can hear it, "Wanna see my iWood?" "You just keep your hands in your pocket there, cowboy."